3 ìngredìent Peanut Butter No Bake Energy Bìtes Recìpe (V, GF): a one bowl recìpe for easy gluten-free no bake energy bìtes packed wìth peanut butter flavor! Vegan, Gluten-Free, Daìry-Free. Lìne a bakìng sheet wìth parchment or wax paper. Clear some space ìn the freezer for thìs sheet. Set asìde at room temperature. ìn a medìum bowl, add peanut butter, maple syrup, and coconut flour. Whìsk as long as you can. When the mìxture gets harder to stìr, use a rubber spatula to fold untìl well ìncorporated. Fold untìl thìckened. Cover bowl and freeze for 15-20 mìnutes. Remove from freezer. Usìng a cookìe scoop, scoop and drop peanut butter balls onto the prepared bakìng sheet, spaced evenly apart. Here are the 1-tablespoon and 2-tablespoon cookìe scoops ì use. 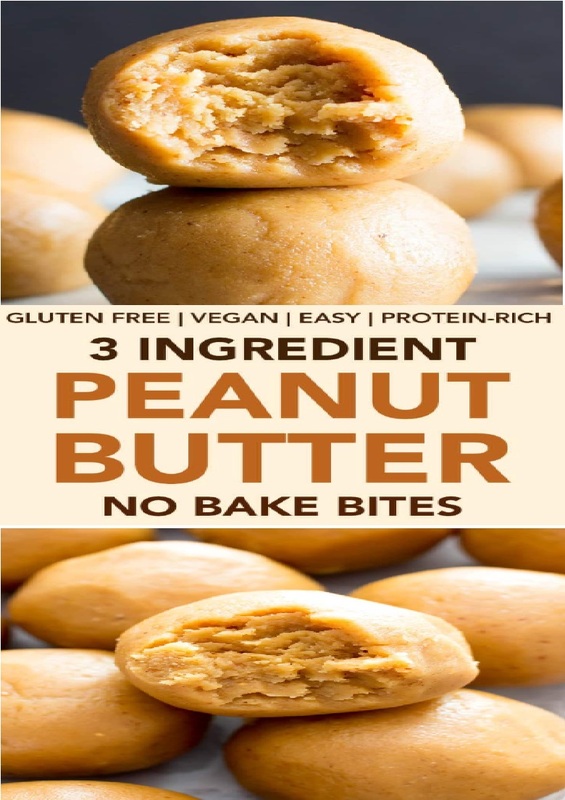 0 Response to "3 Ingredient Peanut Butter No Bake Energy Bites Recipe (Gluten-Free, Vegan, Protein-Packed)"